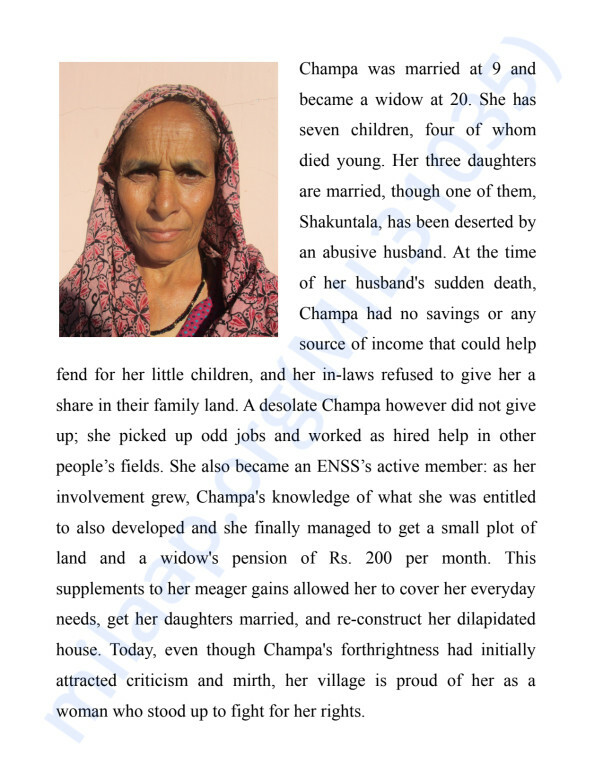 Help Himachal Pradesh's single women fight for their rights! 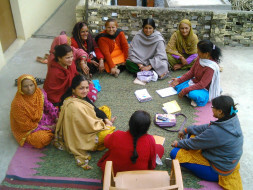 ENSS (Ekal Nari Shakti Sangathan): we are an association of single women (widows, deserted, unmarried etc) organizing themselves in order to help each other, pressurize official institutions, change patriarchal customs and mentality, spread information about various issues and create an alternative family for all participants. Differently from other organizations, it consist in women that organize and help themselves out; as such it really has a big role in empowering the ones among us who choose to participate and is at best capable to address our real needs. We develop proposals for changes in the government's laws and policy, pressurizing the authority to adopt them. Over the years, we helped thousands of single women to get back on their feet after the death of their husband, having been abandoned, escaping domestic violence etc. We need your help to cover our day-to-day expenses and finance our projects, e.g. pay the salaries of the coordinators, for advocacy costs, and training. You can read more details about our organization below. Any size donations is welcome! Thank you! we offer training of various nature: to learn marketable skills, to illustrate and change gender construction, self-defense training, workshops about existing schemes, rights, laws protecting women etc. organize marches, protests, petitions etc. In India, single women have to endure a great amount of social stigma; at the same time, the indifference end even hostility they face in the society translates itself in the absence of much needed legislation at the political level. 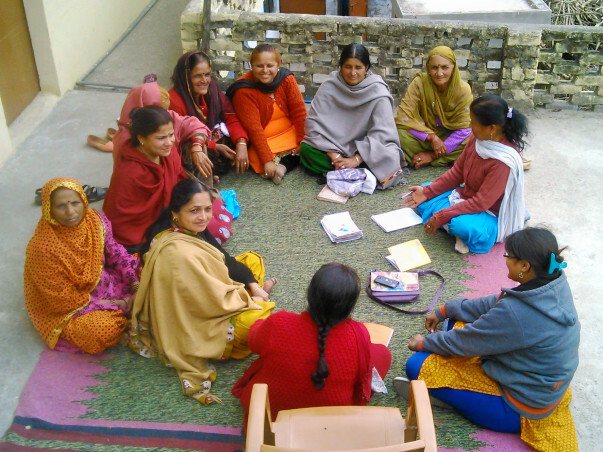 We operate in Hiachal Pradesh, mostly in rural areas: the central problem is that here single women are, socially speaking, outcasts who do not enjoy the same social or familial protection as other people do. Widows, especially if young, are held “responsible” for the death of their husband. Also, the idea that the children will take care of their older mothers is rooted in Indian society but this is in reality often not the case. Many widows have to endure abuses or demands for sexual favors, typically from their brothers in-law; their in-laws seize their money/land and thrown them out or, conversely, do not allow them to exit the house while using them as cheap labor. They can return to their natal home, where, however, do not have any legal right (e.g. applying for governmental schemes, as they are registered in another Panchayat/Municipality). Also, their family do not always have the financial means to maintain them and see them as a burden. Another problem is that at the moment of the marriage this is often (intentionally) not registered in the Panchayat's register by the husband; in case of his death or abandonment, the wife cannot make any claim on common property, the house they were living in, etc., because for the law they had never been married. Deserted women - not possessing divorce papers - cannot prove that they do not have an husband taking care of them and hence they cannot expect any help from the government. Even if they have a FIR proving the disappearance of their husband, several years have to pass before they are entitled to any help. Who helps are just the same people who are being helped. Therefore, there is no patronizing but rather true empowerment! Himachal is mostly an agricultural state and therefore all women, including those who do not have any marketable skill, know well how to cultivate and take care of the cattle. Consequently, we want to receive 50 bighas of and on lease from the government: single women without any source of income could cultivate it to make a living and pay a percent back to the government. Dear Nirmalji, keep up the good work. I hope I can visit you all and do some work together again. Sending you all lots of love. Let us keep the faith in solidarity. Sisterhood is strong! A contribution towards equal rights in the social construct.